Barry M Trost, the Tamaki Professor of Humanities and Sciences at Stanford University has been awarded the 2015 Linus Pauling Medal Award for "outstanding contributions to chemistry meriting national and international recognition." 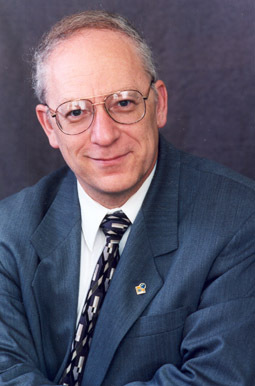 Trost will be honored at a symposium and banquet on December 5, 2015 at Oregon State University. The Linus Pauling Medal Award has been given annually since 1966 by the ACS Puget Sound, Oregon, and Portland Sections of the American Chemical Society. The award is named after its first winner, Nobel Laureate, Linus Pauling, a native of the Pacific Northwest. The symposium, sponsored by these ACS sections and hosted by the Oregon Section and Oregon State University, is free and open to the public (no registration required). The Award Banquet requires semi-formal/business-informal attire, registration and the purchase of a banquet ticket. The deadline for registration is TBA. Non-student banquet tickets are $30 each. Student banquet tickets are $15 each. Changemakers never stop learning — and always keep going. Chemistry Graduate Student, Elizabeth Kaweesa was recently profiled for iMPACT Magazine. Undergraduates of the Quarter: students doing great things; in and out of the lab. YlnMn Blue has recently become a household name. Learn all about it here! Dr. Sandra Loesgen and her research team focus on developing and evaluating new pharmaceuticals. OSU's Advantage Accelerator is helping to start tomorrow's companies.